No Dig — trenchless technology is the best option outside full pipeline replacement. Drainline Plumbing is a licencee of Nuflow which is the Australian Distributor – (www.nuflowtech.com.au) for the international group, Nuflowtech (www.nuflowtech.com). Therefore we have the support and information on the latest developments in this technology. This technology allows us to create a ‘pipe within a pipe’, using environmentally friendly, tested epoxy resins, creating a structural strength pipe, junction or sectional repair – without the need to dig trenches or remove flooring. We are your Pipe Ublocking Expert! The seamless liner is impregnated with specific environmentally friendly two part epoxy resins and a pre inserted bladder spanning the length of the liner. The liner is inserted into the pipeline through an inspection opening or access point and is positioned in the desired location. The bladder is then inflated using compressed air causing the liner to mould to the host pipe, filling cracks, holes and spanning over any voids in the pipeline. The liner can be custom made to length, from 1m upwards allowing small sectional repairs to be carried out or complete mains relined. Utilising the latest technology in cured-in-place pipe repair (CIPP) and relining and “our innovation and skills, you never have to worry about broken, cracked or blocked stormwater and sewage pipes again. We can repair or unblock all types of pipes with minimal disruption, including PVC, Earthenware or Clay, Asbestos, Galvanised or mild Steel, Cast Iron, Copper, Concrete and HDPE. We can repair diameters from 40mm to over 1 metre using the our pipe repair and relining methods. If you have stormwater, sewerage, trade waste or potable water pipes under tons of concrete or factory floors, this presents no problem for Drainline. Almost any shape pipe can be relined by us, including Vertical or Horizontal, Square, Rectangular or Round pipes, 90 degree bends, P traps, S traps, Junctions and Elbows. 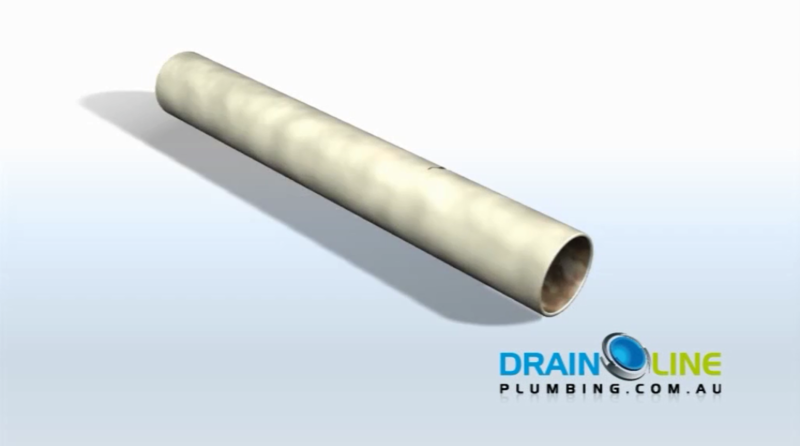 We can solve your drain problems in no time with this pipe unblocking technology. We are the specialists in Lateral Connection Liners (LCL) for any type of junction and pipe relining and repair techniques can completely line whole junctions in one hit. 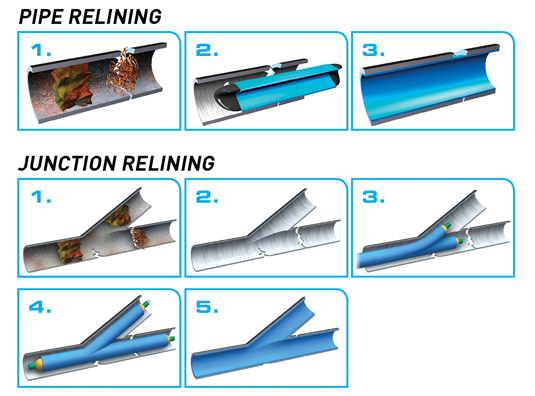 We can reline any type of pipe, diametre or length combination, from 45 to 90 degrees. Our process of cure-in-place is the most versatile repair system in the world. Using up to date Epoxy Pipe Relining Technology, We provide a trenchless cost effective solution to pipeline repairs. Our no dig relining system is a great alternative to costly excavation and trenching. Our product supplier – Nuflowtech are Silver GreenBizCheck certified, licensed with the Queensland Building and Construction Commission (BSA) and is a Member of the Australian Society for Trenchless Technology. A copy of these test results is available on request.